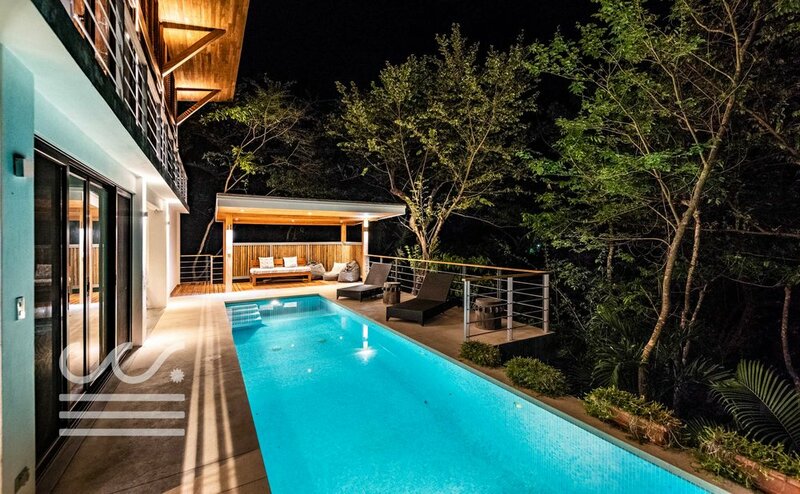 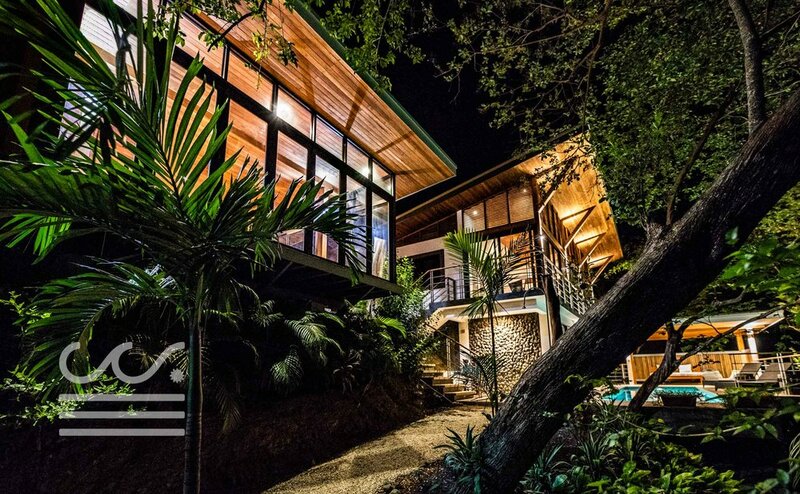 The Canopy House is tropical modern living at its best. 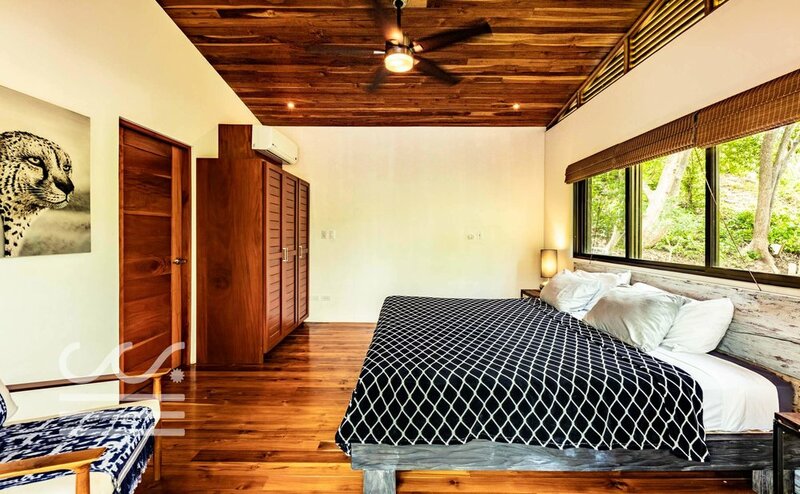 Located in a quiet corner of K section, this home offers easy access to the surfing beach at Playa Guiones and all of the amenities at the Bhodi Tree resort. 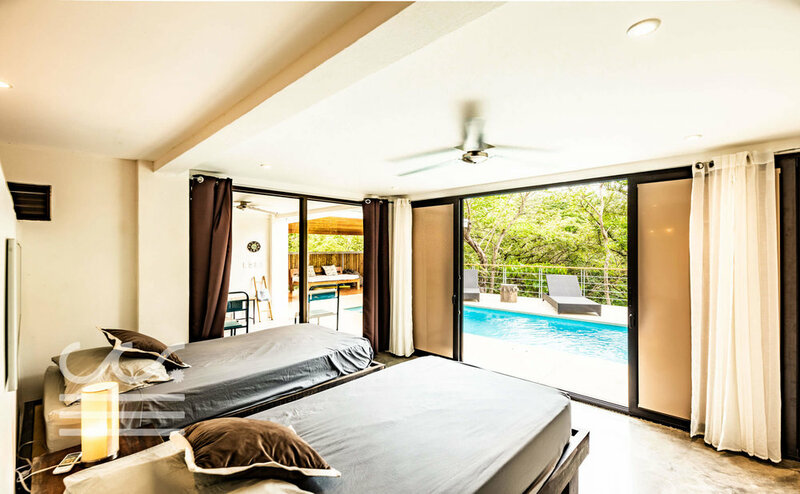 Ideal for the active family looking to enjoy the best of what Nosara has to offer. 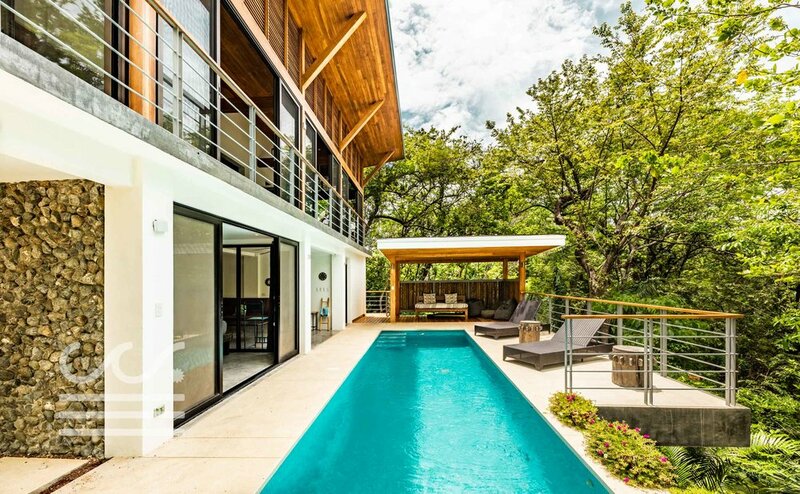 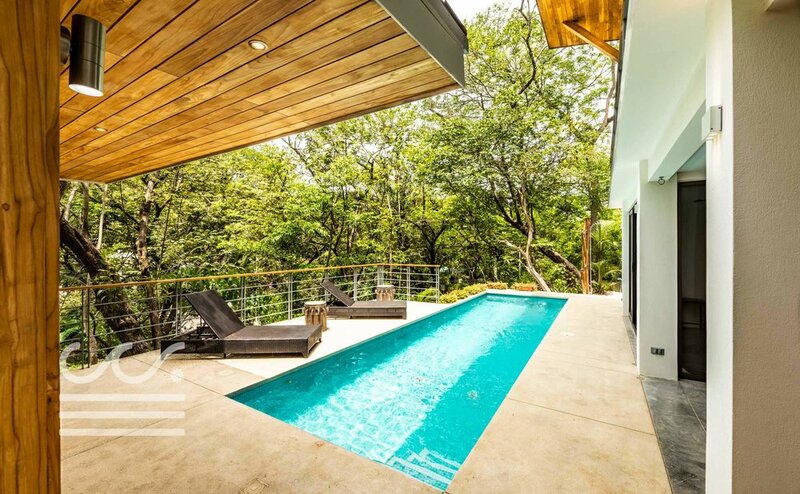 Canopy House is a brand new 4 bedroom, 4.5 bathroom home nestled in the upper branches of the local tropcial dry forest. 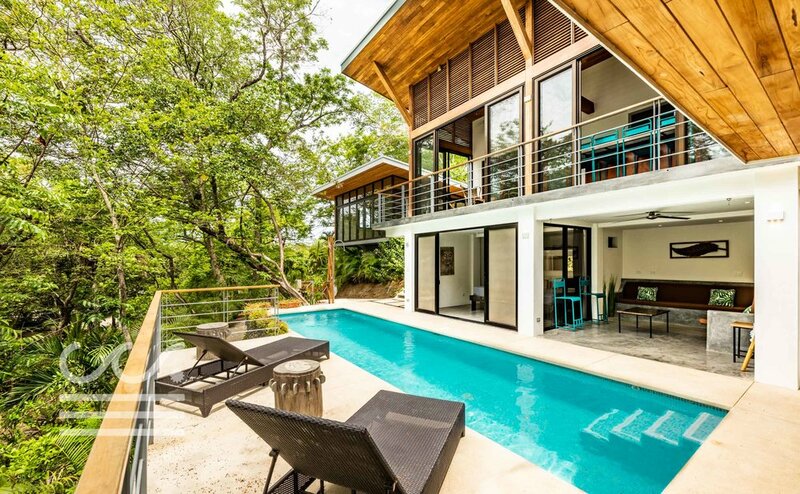 Located on a biological corridor that runs through the neighborhood, you will enjoy the company of local howler monkeys and colorful parrots daily. 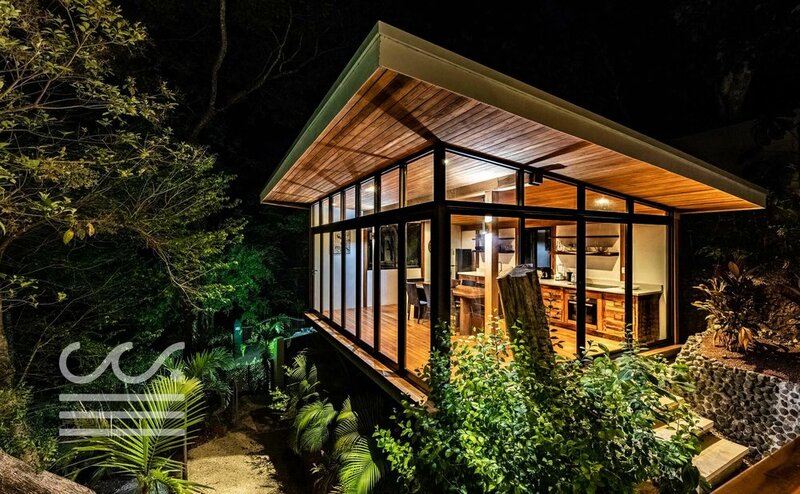 The Canopy House has a covered yoga deck and ample room for group activities throughout the home.